I have borrowed this title from a superb blog post by Michael Kitces that was written for financial advisors. It is such an amazing statement that many do not want to hear it from an expert advisor. Does this mean that a concentrated portfolio would be a winning strategy? Well, the answer is “it depends”. But, depends on what? You may ask. It depends on who you are and what you know and whether you know. To understand this statement, please read this article I wrote in May 2007. 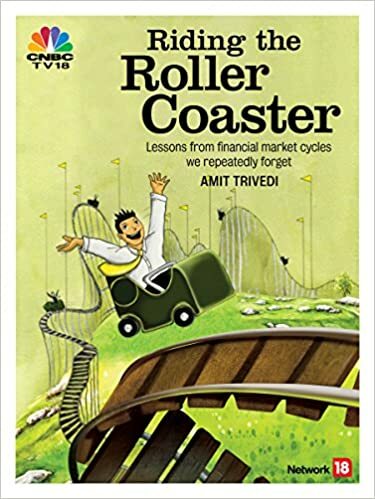 Read a section on “Portfolio concentration” in the book “Riding The Roller Coaster – Lessons from financial market cycles we repeatedly forget“. There is a reason why you must have a concentrated portfolio and there is a reason why you need a diversified portfolio. Understand the difference before building your investment portfolio. Recently, we came across this news item involving two cricketers’ and their investment in a “assured return” real estate scheme. Yes, we are talking about the news involving the Pathan (Irfan and Yusuf) brothers. (Read the news article here). We will not get into the specific case of what happened here. However, there is a clear lesson to be learnt. The Pathan brothers and many other cricketers have seen a lot of money through their cricketing skills – thanks to their success at the international stage as well as the IPL. When so much money becomes available, the question is, “Where to invest?” This is the time to exercise caution (Too much money, where to invest? Don’t invite the Pied Piper), but usually we tend to become more aggressive as the amount of money makes us feel comfortable and safe. Some numbers from the said article give us some wonderful insights. Read the last two paragraphs about the price at which Irfan Pathan was picked up by various IPL franchises. You anchor your earnings at the highest level and assume continuation of the same. So if Irfan Pathan might have thought in 2011-12 that his base price would keep going up or at least stay there. Did not happen, at least in this case. When you see the fall in income or anticipate the same, you want to take some chances to increase the income through some other source. This could be the possible thinking in 2013 when the investment was considered. Whatever the reason behind the thinking, 12% assured return must have looked a mouthwatering opportunity in 2013, especially considering what all happened in that year. (Read our article as a reminder of what happened in that year: Here are events that shook world in 2013). This was a very interesting combination – a lot of money at hand and the world looked scarier than ever. We seek guarantees in such cases. However, is the guarantee good enough? Please understand the investment these brothers made was a credit risk taken on the builders. When someone guarantees some return, we are taking credit risk – we are taking the risk that the guarantees would be honoured. We are assuming that both the ability and the willingness are sound. However, we tend to forget the word “risk” when we hear the word “guarantee”. Be careful. Understand the risk that you are taking. There is nothing wrong in taking risks, but everything wrong in taking it without understanding it.